Harris Farms Plastic Poultry Drinker, 3.5 Gallon | Fountain City Art Ctr. 3.5 Gallon Poultry Drinker. 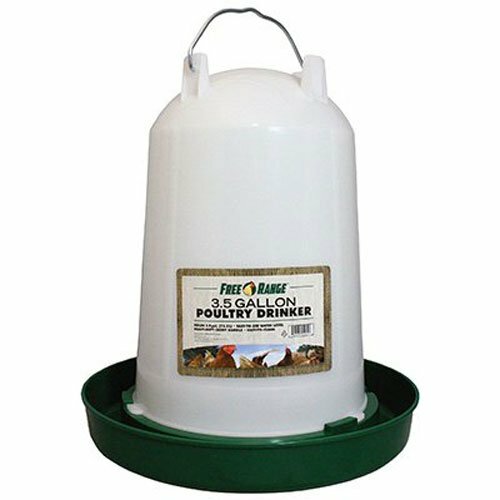 This easy-fill, easy-clean 3.5 gallon poultry drinker is molded from long-life plastic with durable fountain, and features a twist-lock system and a hanger/carry-handle. Accommodates up to 56 chickens or game birds. If you have any questions about this product by Harris Farms, contact us by completing and submitting the form below. If you are looking for a specif part number, please include it with your message.